To use this application we strongly suggest a compatible browser. This application is optimized for Microsoft Internet Explorer 11, Firefox 3+ and Chrome. 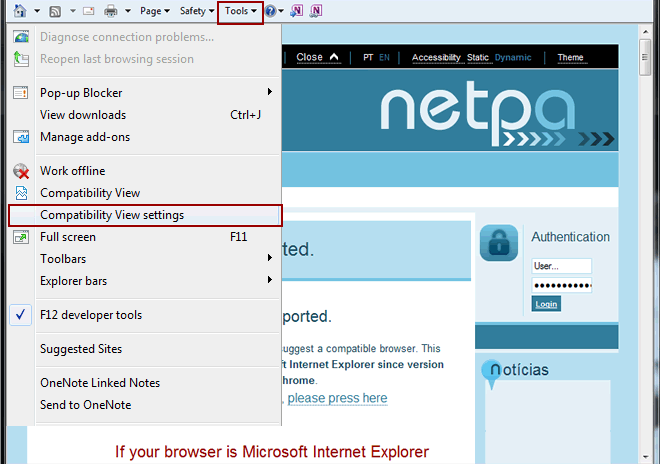 ... And you are having difficulty accessing netP@, the reason is probably the compatibility mode IE9. To disable follow our directions and set your browser so you can navigate through our application without any problem. 1. Check if you have compatibility mode on or off your browser. This option should be off for that, go to the menu "Tools" and, if you connected the compatibility mode, press "Compatibility View" and turn off this option. It should be as shown in the image below. 2. Next you need to check if the compatibility mode settings of your browser are correct. To go to this "Tools" and choose option "Compatibility View settings"
3. 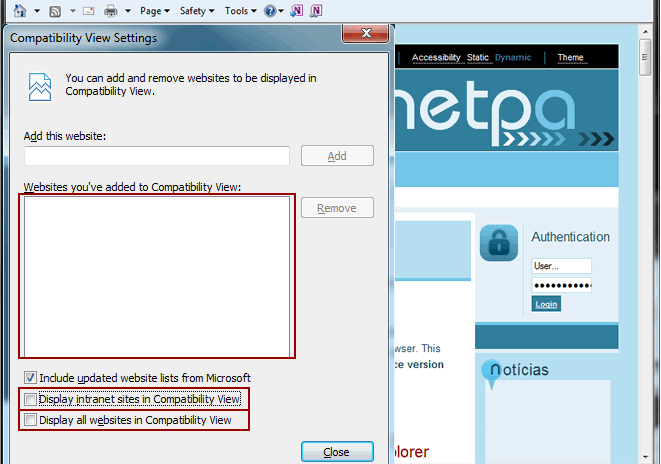 In the popup window will have to have options"Display intranet sites in Compatibility View" and "Display all websites in Compatibility View" disabled (as shown in the image below). The option box "Websites you've added to Compatibility View:" must also be empty, without added sites. 4. 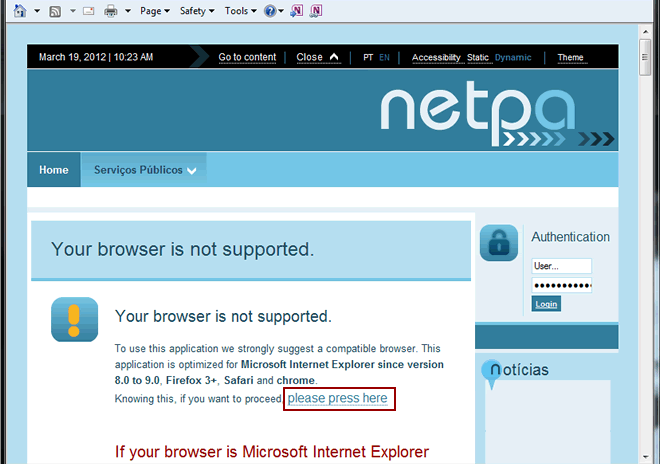 Finally, click on the link "please press here" on page netP@ and continue browsing our application.